What started in the 1990s as a small project by two futuristic gentlemen Mr. Ken Schwaber and Mr. Jeff Sutherland is now a multi-million dollar industry in itself. Scrum is one of the greatest inventions in the agile world providing an excellent framework to all that falls under its category. While Scrum’s invention has been a debatable topic, some arguing it was an invention by Mr. Ken Schwaber and Mr. Jeff Sutherland others contradict and trace its invention to 1986 by Hirotaka Takeuchi and Ikujiro Nonaka. 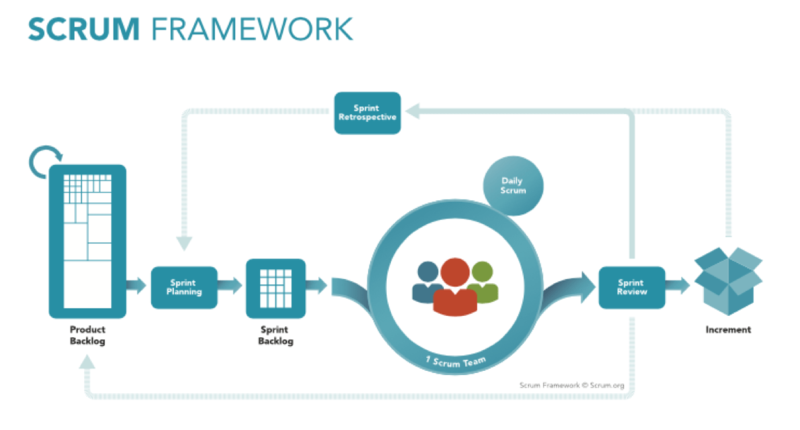 Scrum makes the business environment more systematic and works friendly. Over the course of years, Scrum has changed. As the market becomes global and receptive to a foreign environment, the framework has receptively changed. While many scrum masters adhere to the ancient mode of its usage many individual writers have incorporated their ideologies in their books, thus bending the traditional rules of Scrum. There are scrum training’s called PSM training provided online as well as offline at many locations throughout the globe. Although it involves weeks of training and coaching by Scrum masters, grasping the concept of Scrum might require more than just a few weeks. It required self-study. Yes, Scrum has an enormous amount of advantages. From managing the work environment to providing solutions to complex tasks and milestones. It might come in handy in a lot of ways. However, it has a few drawbacks. Starting from following Scrum’s very strictly to disappointment if analyzed framework is not met. Having constant Scrum meetings can also be very hectic. There is no end date in the model hence, no one knows when the process would end or targets would be achieved. If the employees are not checked upon or if they are not committed towards a certain project the Scrum system might collapse and goals might not be reached. Some organizations use Scrums to its maximum capacity while others prefer not to use it. Then there are other institutions that alter or tweak the Scrums framework as per their needs. A simple example being following the Scrum pattern but adding a certain deadline to the task. This open nature of scrum is really what makes it easy to incorporate in large firms. Having a Scrum course experience handy is also a plus in current business environment. Does your organization follows a traditional Scrum model or does it have its own model with a little bit of Scrum’s framework?